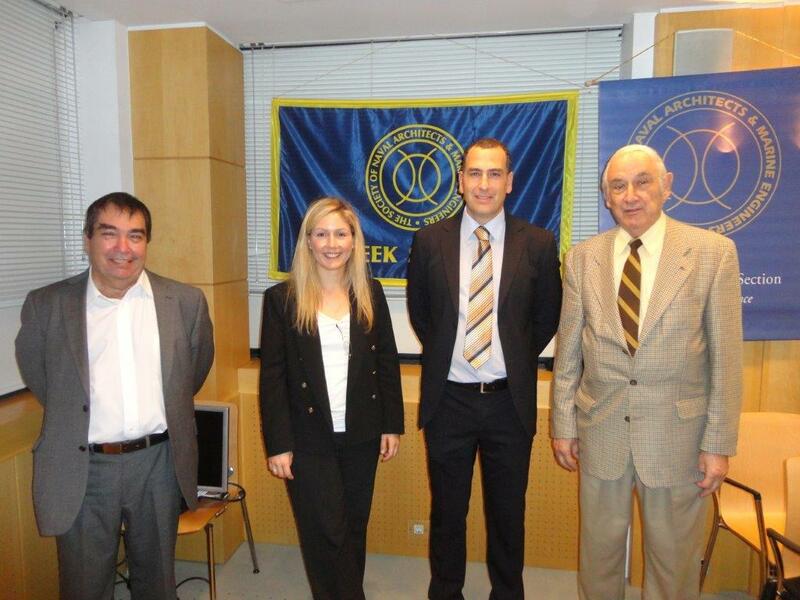 The Greek Section of SNAME inaugurated the program of monthly technical meetings on September 19th 2014 with a presentation titled “2015 Impact to marine Fuels” by Mr. Lefteris Capatos of Innospec in front of over 50 attendees from Industry and Academia. 2015 will be associated with a revolution in shipping due to the introduction of 0.1% sulphur content fuel in the Emission Control Areas (ECA).This regulation will lead to increased demand for distillate fuels such as MGO and MDO. In case of fuel blending, fuel change-over will impose a higher risk of incompatibility. If MGO/MDO are stored for prolonged time, they are at high risk of destabilization. The most popular means of fuel saving is frequently associated with poor combustion leading to increased deposit formation and lower efficiency. Utilization of combustion additives can improve significantly ignition and combustion and reduce fuel consumption. Fuel additives can also increase stability by keeping asphaltenes apart. Stabilized fuel results in reduced sludge production and cost savings. Low sulphur fuel is also characterized by low lubricity due to the removal of critical compounds during the desulphurization stage. The lubricity problem is caused from lack of these components and not from lack of sulphur. A lubricity improver can also offer an attractive cost efficient solution. Selection of an appropriate lubricating oil to go with the low sulphur fuel is of paramount importance. In general lower Total Base Number (TBN) will be required. This interesting presentation was concluded with a question and answer period and the customary get together reception.